Wishing everyone a very happy and blessed Thanksgiving 2015. 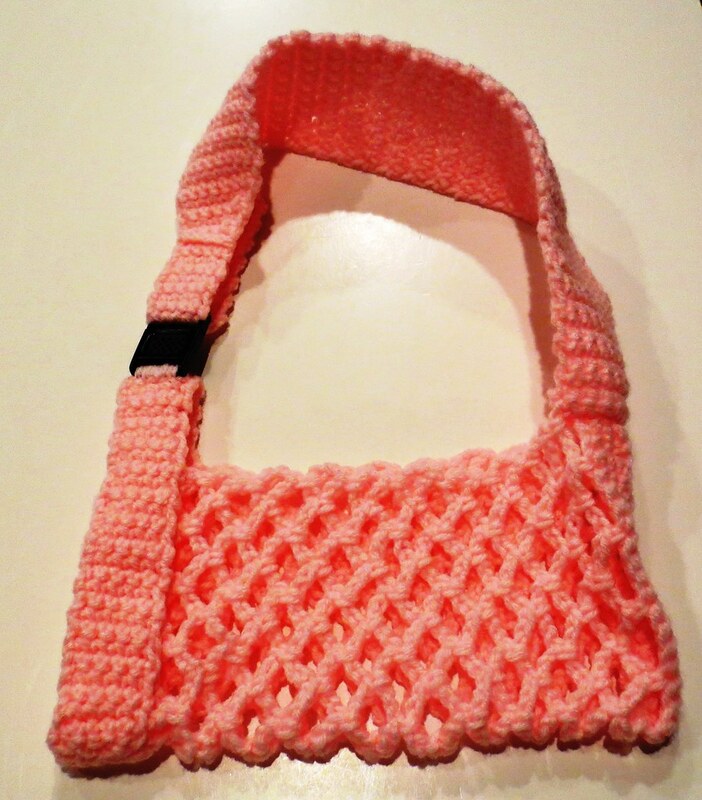 Here is a crocheted arm sling project I create for my 5 year old granddaughter who broke her arm. I looked around and couldn’t find a pattern so just started out winging it in an effort to come up with something that would work and support her arm. As she broke bones in both upper and lower right arm, the cast is heavy and the sling needed to be comfortable to wear with a wide strap around the neck and shoulder. I have written up the crochet directions for this arm sling but I want to warn everyone that it’s only a guideline. You want to make sure what length you need the arm portion and the strap length before you cut off any yarn. I left my yarn attached for the shoulder strap as I had to rework it several times when I actually was able to have a fitting with my granddaughter. Also because yarn stretches I had to shorten the length by several inches on the strap to get the right drop for the crocheted sling. So just make sure you check the fit before finalizing your arm sling. But this should provide people with a pattern to help crochet your arm sling. 10-1/2″ long from elbow to wrist by 5-1/2″ tall with 10 – 14″ strap. Strap at shoulder is 5 inches wide and then 1-1/2″ wide at buckle. It’s football season and people love to have their favorite team’s gear on. 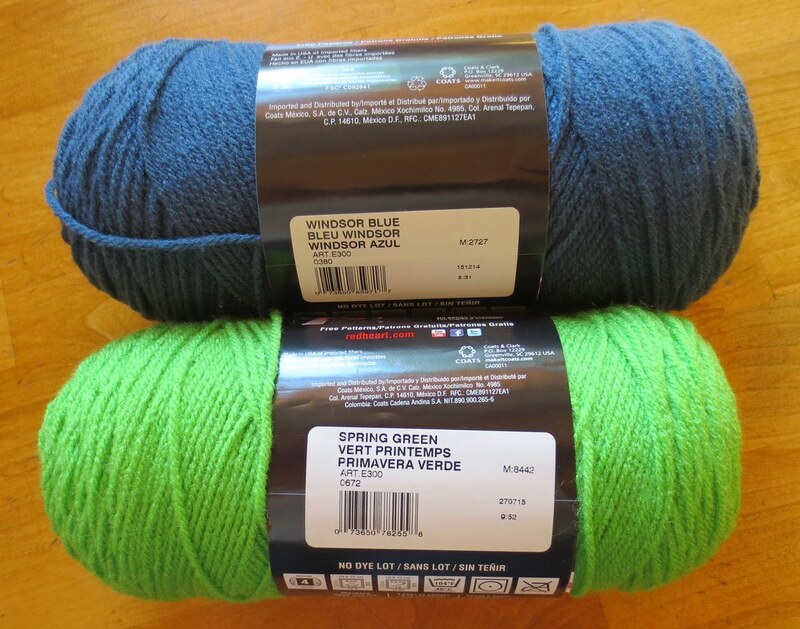 I found that if I combined Red Heart Windsor Blue yarn and Spring Green, they were a near match for the Seattle Seahawks gear colors. 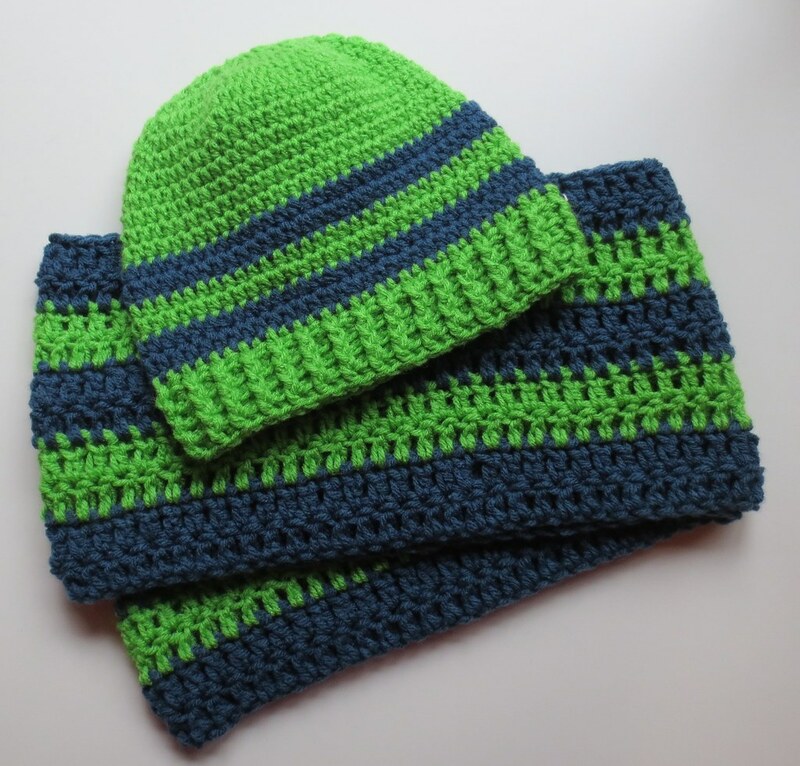 So… I crocheted several hats and scarves using the Seahawks yarn colors. I am very pleased with these yarns as they are reasonably priced and are just the right shades to represent the Seahawk colors.